Summary: In a new study, 44% of respondents said a boss was the primary reason for leaving a job. Good reminders for bank managers. Pew Research reports some interesting things about employees in this country. For instance: there are more than 150mm employees in the workforce, membership in unions has declined from a peak of 35% back in 1954 to only 11% today, 71% of people work in the service sector, 10% of the workforce is self-employed, and median annual earnings of full time workers ages 25 to 34Ys old is about $50,000 for those with a bachelor's degree or more vs. only $30,000 for high school graduates. When it comes to the workplace, bankers know there is a lot to think about to stay competitive. Interestingly, the Bureau of Labor and Statistics (BLS) reports the median number of years employees remain in a job fell about 9% to 4.2Ys in 2016 from 4.6Ys in 2014. The reality of this statistic makes life difficult for managers. Yet, there are ways to beat this number. When it comes to retention, listening to and learning from your employees is critical. Consider a recent study by BambooHR, a provider of HR Software Solutions. It found a notable 44% of respondents said a boss has been the primary reason for leaving a job. Specifically, respondents cited a boss's management style, condescending attitude, temperament, inappropriate behavior and harassment as top reasons for leaving. Although we know community bankers have a good idea what behavior is appropriate and what is not, this study may provide some extra insight for your team to digest. The study highlights the bad boss behaviors that employees deem the most egregious. Topping the list is taking credit for employees' work. Notably, 17% of respondents who said a boss had been their primary reason for quitting said they left because their boss stole their ideas. Interestingly, age played into this as well. Consider that 57% of employees between the ages of 18 to 29Ys old say bosses who take credit for their work are unacceptable. This compares with 77% of workers age 60+. While this may be true, the median number of year's statistic for those 25-34Ys is actually well below the national median. That sits at 2.8Ys. So, you clearly need to watch younger employees for signs they could be on their way out. Coming in at #2 on the list is a boss who doesn't appear to trust or empower employees. That is followed at #3 by a boss who doesn't appear to care when employees are overworked and #4 which is a boss who doesn't advocate for employees when it comes to monetary compensation. Rounding out the top 5 is a boss who hires and/or promotes the wrong people. Beyond the list itself, the study found notable differences between how men and women view the behaviors. A higher percentage of men felt the top bad behaviors were not at all acceptable or would be a deal breaker that would make them want to quit when compared to the percentage of women. The study also found sizeable differences between the responses of non-managers vs. managers. For instance, when it comes to taking credit for employees' work, not trusting or empowering employees, and overworking employees - 20% fewer managers feel these behaviors are unacceptable. Besides ensuring your managers are steering clear of the list above, what are some other ways to keep good employees longer than the median 4.2Ys? Entrepreneur magazine reports that promoting appropriately, paying according to the employee caliber, soliciting and applying employee input, encouraging innovation and using healthy competition for increased engagement are critical. Each one is an important way to retain your best employees. 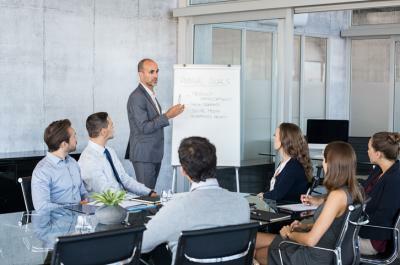 While every bank is different, it may be time to ponder some of these findings along with your employee development programs. The growth of your bank relies in large part on your human resources, so keeping the best people around will most certainly lead your bank to success and have the greatest impact. Yields slipped 1bp notwithstanding robust home sales as investors digest multiple bill/note auctions. S&P Global Market Intelligence reports that banking industry profits declined in Q3 vs. Q2, as banks raised loan loss provisions, saw weak loan growth and dealt with lower noninterest income. Loan growth was only 1.0% quarter over quarter and 3.5% year over year. Meanwhile, ROAE was 9.8%. 1) Community Bank ($908mm, PA) will acquire Progressive Bank ($356mm, WV) for about $49mm in cash (20%) and stock (80%). 2) Ameris Bank ($7.7B, GA) will acquire Atlantic Coast Bank ($922mm, FL) for about $145mm in cash (15%) and stock (85%) or about 1.60x tangible book. 3) Georgia's Own Credit Union ($2.3B, GA) will acquire State Bank of Georgia ($96mm, GA) for an undisclosed sum. This is the 5th acquisition this year by a credit union of a bank. The Wall Street Journal reports competitive pressures and technology advancements have pushed more financial executives to tell their employees to stop using spreadsheets. These executives say doing so frees up financial experts to use standardized and companywide data sources and to focus on what the data is telling the company vs. spending time importing, exporting and manipulating data that could be handled by other software options.